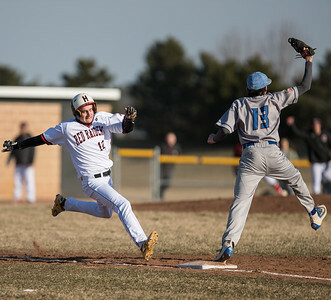 Whitney Rupp for Shaw Media Hunter Rumachik of Huntley slides after trying for a steal against Woodstock’s Blake Shallenbarger Wednesday, March 21. 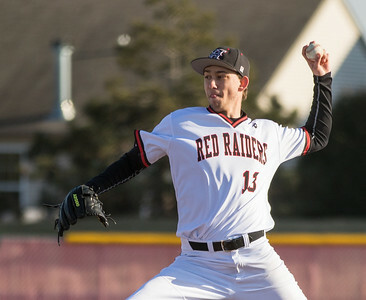 Whitney Rupp for Shaw Media Huntley’s Kyle Morgan pitches Wednesday, March 21 at home against Woodstock. Whitney Rupp for Shaw Media Huntley’s Joey Petryniec collides with Kyle Dehn-Franklin of Woodstock Wednesday, March 21. 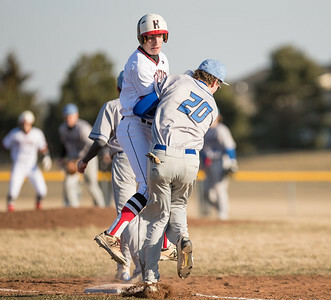 Whitney Rupp for Shaw Media Huntley’s Christopher Constantino tries to get on bsse after a hit against Woodstock Wednesday, March 21. 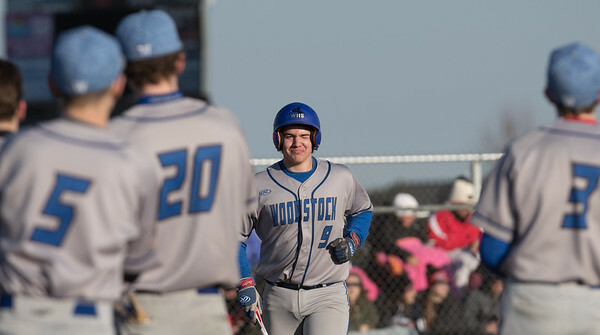 Whitney Rupp for Shaw Media Tyler Peake of Woodstock is greeted by teammates after hitting a home run against Huntley Wednesday, March 21. 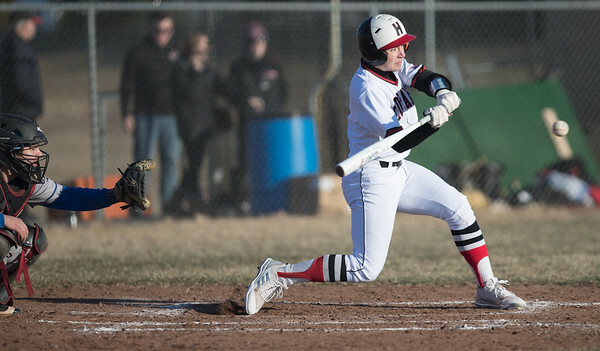 Whitney Rupp for Shaw Media Christopher Constantino of Huntley swings in the third inning against Woodstock Wednesday, March 21. 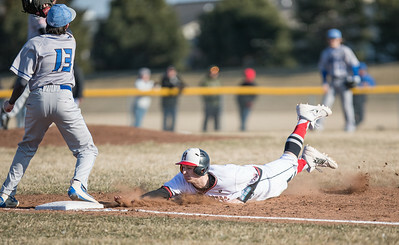 Huntley’s Joey Petryniec collides with Kyle Dehn-Franklin of Woodstock Wednesday, March 21.